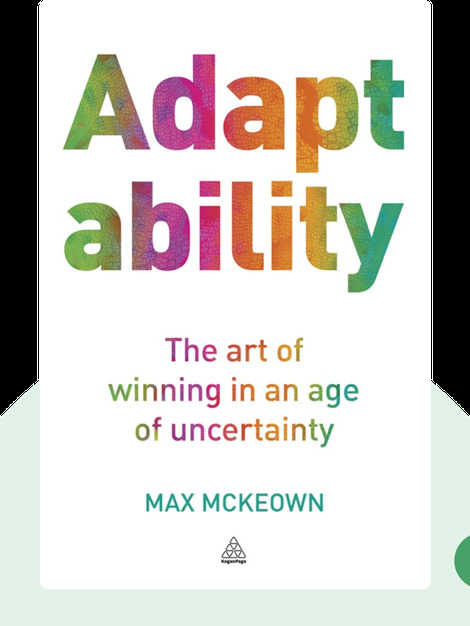 Adaptability (2012) examines a skill that’s becoming ever more important in today’s fast-paced and highly fickle business environment: the ability to adapt. It’s what makes the difference between successful innovators who go on to thrive and stick-in-the-muds who struggle to survive or simply go under. Packed with illuminating portraits of both, these blinks analyze adaptability in action everywhere from the golf course to the battlefield and the boardroom. 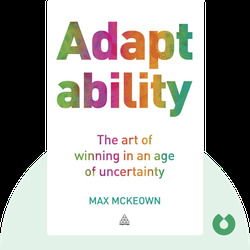 Max McKeown is a consultant who’s worked with some of the world’s biggest firms including Microsoft, Virgin, Sony and Vodafone. When he’s not helping business leaders fine-tune their strategic planning, you’ll find McKeown on the lecture circuit giving talks on innovation, creating engagement and securing a competitive advantage. His previous books include The Truth About Innovation (2008) and The Strategy Bank (2012).